Today’s issue is Part 1 of a two-part interview with Dave Hunter of Crown Bees. We will learn a little know secret to increasing yields in your garden and blooms on your flowers. David: Hello. We’re here today with Dave Hunter with Crown Bees. Dave, if you could give us an idea of some of your experience with bees and what your company does. Dave Hunter: I’m going to say 20 years ago … I’m living out in the Northwest, Seattle area. My wife had a friend of hers that just had tons of apples on their trees. I’m an engineer by degree. What’s going on? What’s that? Back then there wasn’t really much technology. You drill some holes in blocks of wood and presto. That year, I bought some and they all were dead. Then it worked. I had these holes and by that June I had 10 filled holes. That was interesting. I never saw the bees doing anything but we had good apples that year. Then fast forward all the way through until a good 8 years ago, bequeathed with time off. I was a real estate director for Airborne Express. Could I take a backyard hobby and create an industry from it? What we had learned is that the almond industry is the largest pollination event in the world and they’re very concerned that the honey bees aren’t doing that well. They were looking for something that was an alternative. They found that this exact mason bee is a phenomenal pollinator. I initially started just trying to get as many people in the Northwest raising bees for these people. Then as you get going, I probably had, 8 years ago, probably a good 400 or 500 people that I got raising these bees for me. All of a sudden, you kind of realize that these are wonderful bees. Could I now actually, poking my head around, seeing some websites out there, create a company that would maybe help people raise these bees? At that point, Crown Bees became a company. We opened up a website about a year later and we started. There’s that little path. That’s how Crown Bees got started and then a parallel path to that is how the commercial orchards got going. That will be a different question. David: I have an interest in bees. To be quite honest, I don’t have a lot of background in them. Can you tell me, are mason bees and honey bees, are they compatible? Say could I have both in my backyard if I wanted to have both? Dave Hunter: Yeah, actually let’s talk a little bit about bees. Bees, hornets, and wasps; all things people run away from and scream. But, bees are vegetarians. Hornets are meat eaters. Wasps are paralyzers. They’ll grab caterpillars and poke them in a hole. With bees being vegetarians, pretty much they all get along. You can put them side by side and really the only difference when you’ve got a huge orchard of just honey bees and you mix them with mason bees, for example, the honey bee gets a little mad, moves a little faster and gets messier with how she gathers her pollen. That’s about the only thing. The difference between social bees, which we all picture having hives. Honey is with the honey bee. Hornets and wasp nests are all social insects. We have one queen and a whole bunch of workers, some drones. Bumblebees are similar to that. That represents about 10 percent of the 20,000 bees of the world or of the 4,000 bees of just North America. All the rest are solitary bees. A solitary bee, every female is a queen. She mates and does her own thing. She gathers her pollen, gathers her nectar, lays an egg. Typically, seals and protects that egg for when she’s dead most of the year. Each bee actually lives for 6 weeks. In a honey bee hive, the queen’s going to live a little while. She’ll live maybe a year or two. Every bee, every worker she’s got …she lays about 1,000 eggs a day, maybe 1,500. About 1,500 bees die a day. With the solitary bee, they all come out about the same time and then they’re dead about the same time, maybe 4 to 6 weeks. What has these bees come in typically are heat cues. The mason bees that I’m talking about, there’s a spring one. These all come out when the cherry trees are first coming into bloom, plum or cherry. They live for about six weeks. Once they’re dead, there are other bees that maybe started apple season or could have started the raspberry season. Then it died 6 weeks later. Leafcutters are coming out in late June, July and August. They pollinate your beans, squash, and peas. Then they’re dead. You’ve got a variety of social bees and then solitary bees. That’s the other part that’s kind of interesting with those two kingdoms, social and solitary. You’ve got some bees that nest in hives, in a hive or a big hollow in a tree. Or you’ll see the nests up underneath an overhang. That’s only social, the queen and all of her workers. Then you’ve got bees that nest in holes. There are about 130 species of hole-nesting bees. These are nesting bees. They go into reeds or paper tubes or whatever. Those are all solitary. Most of the bees go into the ground, about 70 percent. Those are both social. The bumblebee is a ground-nesting social bee or solitary. You can actually tell the difference. If it’s in the ground and you walk on by and you see a bunch of holes and a bunch of bees using these little holes, those are solitary. You can walk right on through there and feel very comfortable that no one is going to get you. If you’ve got everyone coming in and out of one hole, the closer you get the more they’re going to defend that queen. There are kind of three different, air holes in the ground, social and solitary. That’s your whole bee kingdom. David: If I was trying to promote mason bees in my background, maybe even the leafcutter and the other types that you’ve mentioned, what type of equipment or facilities would I need to purchase or provide to enhance them being in my back yard? Dave Hunter: That’s a great question, David. We’ll talk about the spring mason bee up front. They’re an opportunist. 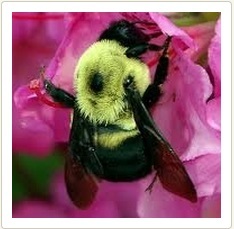 There are things called carpenter bees that will dig holes into wood. 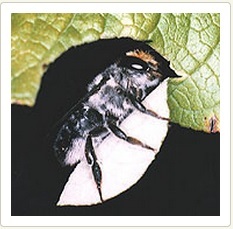 Mason bees are just looking for existing holes, about maybe a 5/16ths of an inch, 8 millimeters, 4 to 10 inches long. You’re going to find woodpecker holes are what these guys are looking for. For what you’re buying, you can get in and out for 30 bucks. A little house, a bunch of holes and that’s all you need. You’re just putting these things up on a sunny morning wall at about that time when the bees should be flying. It’s really cheap. When we’re talking about holes, old technology had people drilling holes in blocks of wood. What you find quickly after a couple of years, pests just build up in those holes and you can’t rescue your bees actually. You wind up just staying out and the bees all die. Our products are very careful that you can open these holes, whether it’s paper tubes or reeds or wood trays that are just kind of all stacked on top of each other. You can open in the fall. We show you how. We’ve got videos and we talk you through on Bee-Mail. In the fall, you’re actually opening these holes up, now separating good guys and bad guys. Good guys are cocoons, they’re really easy to notice. Bad guys are, there are some bad guys out there, pollen mites and certain wasps. It probably takes you an hour, maybe an hour and a half of maintenance per year. If you’re buying bees, maybe 50 bucks, maybe 60 bucks. David: That sounds like that is quite a bit cheaper than what it takes to keep honey bees. Dave Hunter: Another part that is kind of interesting, people are always concerned about having to buy protective gear for the honey bee. You get close to a hive, they’ll protect the queen. That’s what a social bee does, whether you’re a bumble bee or hornet or anything. With a solitary bee, there is no equipment needed. The reason is the female, she’s mated, the male bee is already dead. She’s out there gathering her pollen, gathering her nectar and poking it back into that hole. Maybe about 30 trips get a pea-sized bit of pollen back there. She backs in, lays an egg, looks like maybe a grain of rice. Then she seals that little chamber with mud. This is the spring bee. In that same hole, pollen, egg, mud, pollen, egg, mud. Maybe in a 6-inch hole, you might get 6 or 7 egg chambers. As she’s doing this, she’s doing everything. She can’t sit there and defend the hold with a bazooka and go out and gather pollen, nectar and all this stuff. She doesn’t. She’s not designed to sting. She can. If you grab her in your hands and squeeze tight, she’s going to sting you to let you know she’s here but she’s not there to disembowel herself like the honey bee. She’s just there to say, “Hey, don’t squeeze me. I’m here.” You open your hand and off she flies. It’s kind of more of a mosquito bite than it is a sting. They’re a real gentle bee. Leafcutters are the same thing. David: Is that common to the solitary bee? More gentle than the social ones then? Dave Hunter: Absolutely. I would say all solitary bees are that way. The solitary bees, every female is the queen. Whether you’re in a hole in the ground or a hole in a tube, she has nothing to defend. In fact, if you take her hole away, she just goes and finds another hole. Very gentle. Dave Hunter: Not at all. The cool thing about mason bees, we’re always telling people to put the house at the height of your shortest kid. They’re really fun. You see them in and out, in and out. Towards the end of the season, they say, “Mom, we got 17 holes built.” Next day, “Mom, we got 20 holes built.” You can hold the bees in your hand. As they come out, they’re in cocoons in the spring. As they are emerging, you can actually hold the bee in your hand and it finally chews through the cocoon and kind of crawls around your finger. Typically poops on your hand. Two or three minutes later, off it flies. Really educational piece. David: It sounds like it would be really educational for them. David: For young kids. We have a low-cost factor to have them out there. They’re gentle to have around. Dave Hunter: Easy to maintain. David: Yeah, it doesn’t take much to maintain. What about the pollinating efficiencies versus the honey bees? Dave Hunter: A wonderful question. The honey bee is the pollinator de jour today, the pollinator of today. It’s not a great pollinator. Its purpose is to collect as much pollen as it can for the honey and the 30,000 bees in its little honey-making factory that it’s got. As it grabs that pollen, it puts it on its back legs. Sticky and hardly anything falls off. If you ever look at bees, bumble bees are the same way. If you see pollen on that back pocket, that says it’s a wonderful pollen gatherer. It’s a poor pollinator. The mason bee, a little different, they’re horrible at gathering pollen. They’ve got a really hairy chest. They kind of belly flop into a flower. They’re getting a little nectar and they’re just rubbing their abdomen as best they can in that pollen to get it stuck on her fur. Off to the next flower, the same thing, cramming her belly into the next flower and pollen is just falling off everywhere. By the time she’s got enough jammed into her abdomen, now she’s flying back to her little hole and dust it all off. She’s horrible at gathering pollen but because of this path, she’s an awesome pollinator. When we’re looking into an orchard, it’s about, now I’m going to take a full acre of cherries. You need about 30,000 bees for hives, of honey and 400 mason bees. David: That is a big difference. Dave Hunter: A huge difference. The other part that is really interesting is a honey bee … You’ve heard they do little wiggle dances? Dave Hunter: They’ll tell you exactly where the pollen’s at. As I head for my hive, out to that spot. I find that spot. I work on it. I go up and down the branch, get all the pollen. I might go back to the hive but I go right back to that same tree and maybe even that last branch I just left. That’s how honey bees work. A mason bee, they’re kind of more ADD. I hit this tree. I go into a little thing and fling, off to the next tree, fling, off to the next tree. They’re a phenomenal cross-pollinator. In fact, as we’re now working in orchards, we’re starting to put the mason bee houses in the cross-pollinator place. Maybe every third row, every third tree, so maybe 5 percent of the trees are the cross-pollinator. We’re putting the bees next to those things because they start their whole trip with the correct pollen. Dave Hunter: With the honey bees, we think actually the pollination, if you missed a grain that I didn’t get on my back leg but it’s really I’m still stuck to my one tree. We think actually the pollen grains are falling off in the hive and then someone else inadvertently picks up that pollen grain and goes to the tree they’re working on. It’s possible the pollination is occurring in the hive and not out in the field. The honey bee is not a great pollinator but they make up for it with all their thousands of bees that they’ve got running. Dave Hunter: Now back to your backyard garden, okay? David: Well, I’m thinking of a backyard garden, types of flowers and those types. Dave Hunter: What we continually find with the backyard gardeners, when the mason bees are nesting, people have branches that are breaking on their trees. I just left a meeting when some guy ran up and said, “Man, Dave, you know those bees you gave me last year?” Yeah, I gave him a bed. People constantly have more apples, more plums, more peaches, more cherries than they’ve ever had before because the bees are just great pollinators. Position your bee house so the bees can warm up to the early morning sun. Set out cocoons when temperatures are consistently about 55°F (13°C), and pollen blooms are emerging. Expose moist clayey mud near the nest. The females use mud to seal each egg chamber. Enjoy watching your busy bees pollinate. Remove your nesting materials and place them in a protective mesh bag, like our BeeGuardian. Store the developing bees, still in the nesting holes/material, in a garage/shed/barn. Harvest your cocoons in the fall, and prepare them for their 6-7 month hibernation. Place cleaned cocoons in our HumidiBee, which has a humidity control pad, or in a container that can hold moisture. Refrigerate hibernating cocoons until spring. Building a cold frame or a hoop house can extend and or provide an early start to gardening. Today we will look at various ways to build both, along with the pros and cons of each. Cold frames are found in home gardens and in vegetable farming. They create microclimates that provide several degrees of air and soil temperature insulation, and shelter from the wind. In cold-winter regions, these characteristics allow plants to be started earlier in the spring, and to survive longer into the fall and winter. They are most often used for growing seedlings that are later transplanted into open ground, and can also be a permanent home to cold-hardy vegetables grown for autumn and winter harvest. It takes a watchful eye to be sure you do not cook your young seedlings. It can be surprising how warm the inside can get even during the winter months. One way to take care of this problem is to use an automatic opener that will open the top of the cold frame when it gets warm and will close as the temperature starts to drop. You may think that this would be something that would require batteries or an electrical source. Actually, it is accomplished by the thermodynamics of wax or other materials that will melt and expand as the temperature increases and will contract as the temperature cools. The material in the cylinder will expand and contract, thereby pushing one rod which will pull another to open and close the top of the cold frame. Be careful to not let the wind grab the top of the cold frame by attaching a small chain or cord that will prevent damage to the cold frame top and possibly your plants inside. If the window sash has no glass, use fiberglass or polyethylene to create a sealed growing environment You can insulate the cold frame by adding rigid foam insulation around the insides of the cold frame and by weather stripping along the top edge. In extreme cold, cover it with heavy burlap or an old blanket. Remember to uncover the cold frame when the sun comes out so the plants can warm up again. A similar method to provide a climate for your growing plants is a hoop house. This is a very easy and cheap way to protect your plants. The structure is not as rigid as a cold frame but assemble is much easier. A hoop house also covers the plants but the difference is in construction. PVC pipes are used since they are cheap and easy to bend. The pipes are cut to length then bent over the garden area. They are anchored to the ground or the side of the raised bed. A center tube is attached between the tubes to provide rigidity. Then plastic is placed over the tubes and attached and anchored so the wind will not blow it away. Access to the garden is normally through one end of the tunnel made by the hoops and plastic. This structure will allow the sun to reach the plants, maintain warmth and keep the snow off of plants. Step 3. Slip the lengths of PVC pipe over the rebar stakes, gently bending the pipe to create arcs or hoops, that is secured on both sides. As you can see, both of these structures will help you get a jump start on planting this year. The cold frame is sturdy and can be built over a raised bed. The top can be automated to raise and lower with the temperature. 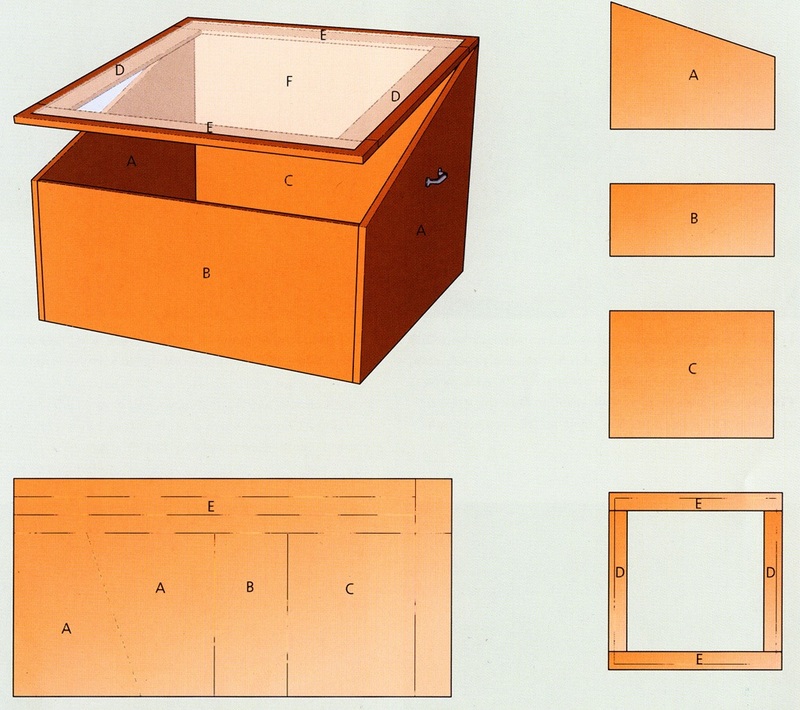 The cold frame takes more skill and materials to assemble. The hoop house doesn’t take near the skill and materials to assemble, is rather sturdy but doesn’t have automation for temperature control. The hoop house is taller and can be easily built. This structure is easy to take down and move. My money is on the hoop house. But I really like the cold frame. If building a cold frame, use the cylinder shown above to take the work out of raising and lowering the frame. If building a hoop house, keep a thermometer inside to know the temperature. Be sure and make the One Call (811) before digging or driving rebar into the ground. Have your local supplier of materials make your cuts for you so you just do the assembly. 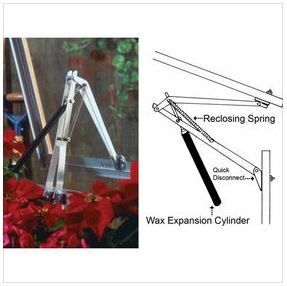 Use split rubber tubing and clamps to secure the plastic on hoop house. 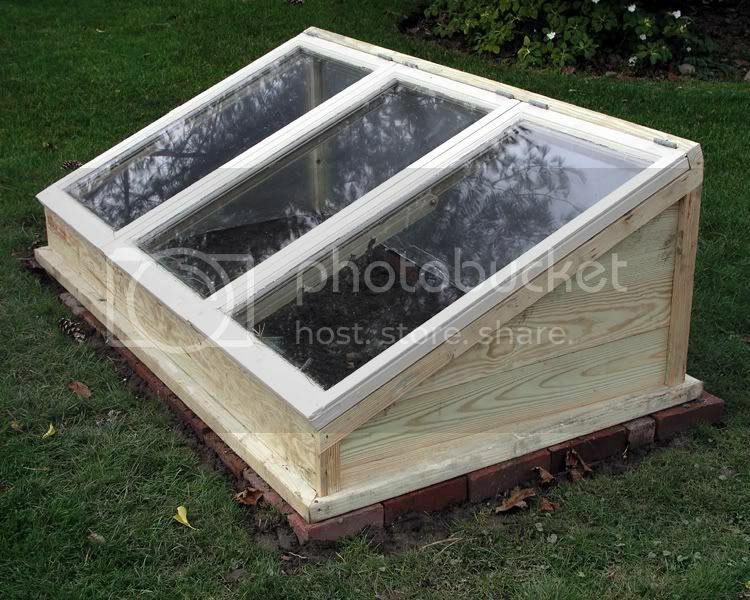 Add a chain to the raised window of the cold frame so the wind doesn’t blow and damage the window. “How to Build a Raised Bed Cold Frame.” Bonnie Plants. N.p., n.d. Web. 19 Feb. 2017. “Make a Row Cover Hoop House.” Bonnie Plants. N.p., n.d. Web. 19 Feb. 2017. Matheson, Betsy, and Ogden Publications, Inc. “Weekend DIY Project: How to Build a Cold Frame – DIY.” Mother Earth News, 28 Sept. 2011, www.motherearthnews.com/diy/garden-yard/build-a-cold-frame-ze0z11zkon.aspx. 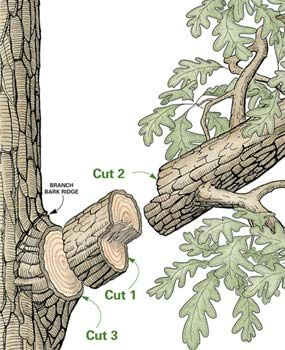 Start by removing dead and diseased limbs, and unwanted growth such as suckers and water sprouts. Suckers are the growth from the root system and water sprouts are shoots that grow rapidly upward such as you will see when trees are top cut. 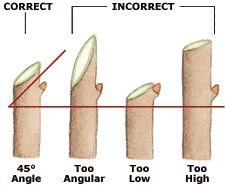 Pruning helps plant vigor and keeps the plant in a healthy and attractive state for the growth of blooms and fruit. So sharpen your tools and give your plants that needed pre-spring cut and you will be rewarded with the fruit of your efforts. Pun intended. The farm in a box concept is an alternative tool for the urban farmer, to help utilize existing limited space to grow leafy greens and vegetables year round. The urban farmer has a new resource, a farm in a box so to speak. These 10’X 40’ shipping containers are equipped to grow leafy vegetables at the equivalent of an acre or two while using only 10 gallons of water a day or 90% of normal agricultural use. The containers are humidity controlled, water irrigated, have led grow lights. Food is grown vertically, with a capacity measured in cubic feet instead of square feet. One company PodPonics now call Agrinamics, has set up operation by the Atlanta airport. They produce lettuce that is sold locally. In contrast, of being shipped cross country from California, where almost all the lettuce comes from, that we eat. This has proven to be very popular with the local restaurants. The chefs are able to utilize fresh local greens on their menus year round. Another provider of container farming is Freight Farms, they produce a container that is used primarily for vertical farming inside. To see an intro to their solutions, watch below. 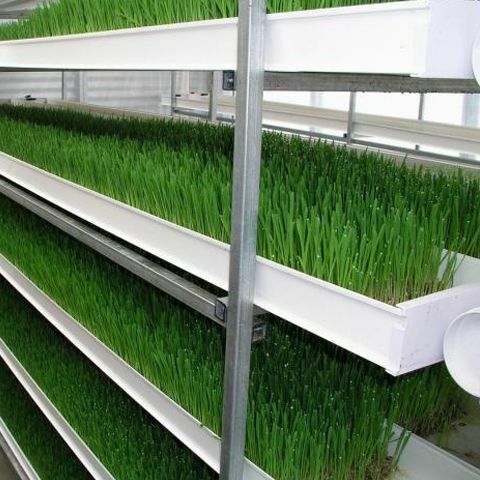 The idea is to utilize a container, whether built for this purpose, like Modular Farms manufactures, or recycle a shipping container that is converted for this purpose. The container is set up for environmental controls so the weather doesn’t play a key role in the production. The leafy greens that are grown are then sold to local restaurants or to local customers seeking fresh vegetables that are grown locally and year round. Some of these companies have produced very sophisticated containers that are monitored for CO2 levels, ph, led light spectrum tuning, and are even equipped with Wi-Fi. 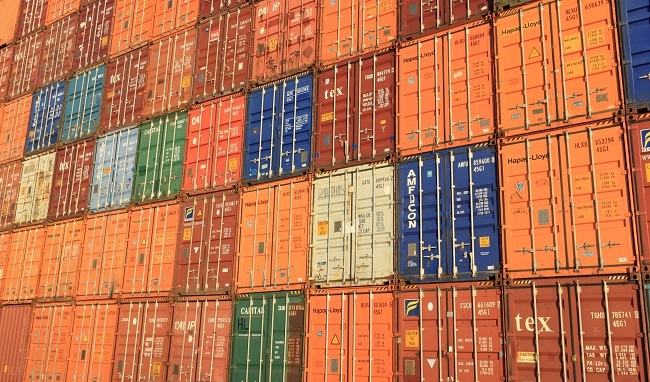 The cost of a shipping container can be as low as a few thousand dollars before the retrofit process. Some are recycled refers; refrigerated semitrailers that are already insulated. Others have to be retrofitted for insulation and temperature control. To get started, seeds are placed in a starting medium such as I have talked about with my jalapenos. After the seeds have sprouted and rooted out, these seedlings are transferred to either a small container that is placed in the hydroponics system. This is where the plant will be feed from the water mixed with fertilizer, using the irrigation system. The plants are surrounded by led lights that give them the spectrum of light needed to grow. The LEDs are very cost effective as far as the amount of electricity that they use. The cost of purchasing them has come down dramatically. Some units even come equipped with solar panels and battery banks for those who want to operate off the grid. In urban areas, permits can be expensive and hard to get. These units are a little bit easier to get going since these are mobile units and do not require building permits. Some localities will embrace this technology since food production will help to create jobs. One company, Farm From A Box, has produced a container that is “plug-and-play”, ready to start farming two acres of land. The idea is not to farm in the box but to have what you need to farm in the box, such as tools, solar panels, drip irrigation equipment, etc. This is a toolbox for the want to be farmer. It can be dropped into place about anywhere and setup to start farming operations. We are seeing changes to how our food is being produced and how far it travels to get to us. As land becomes more scarce and expensive, some of these ideas that utilize existing space could be turned into a great asset to a local community. Being able to eat fresh greens year around that are grown local is a plus for our health and community. This container uses the concept that I had back in the ’70s for growing oats in a contained hydroponic system for agricultural uses. The oats can be grown for food or fodder during the winter or during times when nature is withholding rain. This can then be fed to farm animals. Geiling, Natasha. “Could The Future Of Urban Farming Be Found Inside Of An Old Shipping Container?” ThinkProgress. ThinkProgress, 23 Sept. 2016. Web. 04 Feb. 2017. Markham, Derek. “It’s a 2-acre Farm, Packed into a Shipping Container That Doubles as a Farm Building.” TreeHugger. N.p., 05 May 2016. Web. 04 Feb. 2017. 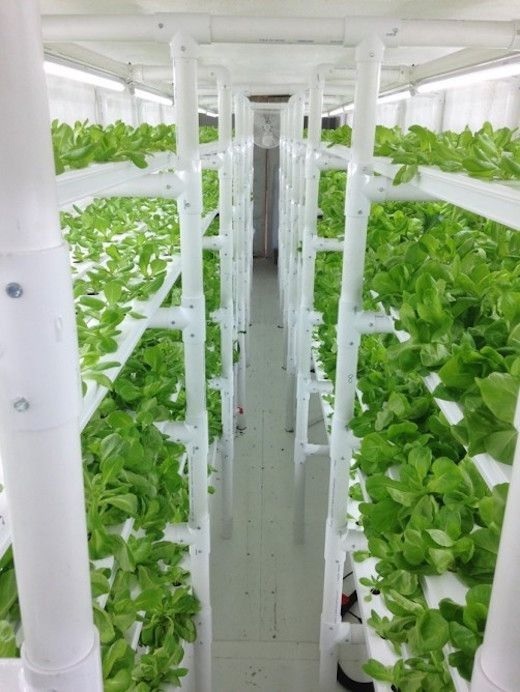 “Elon Musk’s Brother Is Building Vertical Farms in Shipping Containers.” Businessinsider. N.p., 23 Aug. 2016. Web. Barth, Brian. “Meet a Baby-Boomer Couple Farming in Shipping Containers.” Modern Farmer. N.p., 09 June 2016. Web. 04 Feb. 2017. This is the day that Cupid’s arrows fly, or back in the Midwest we call this “bow season”. 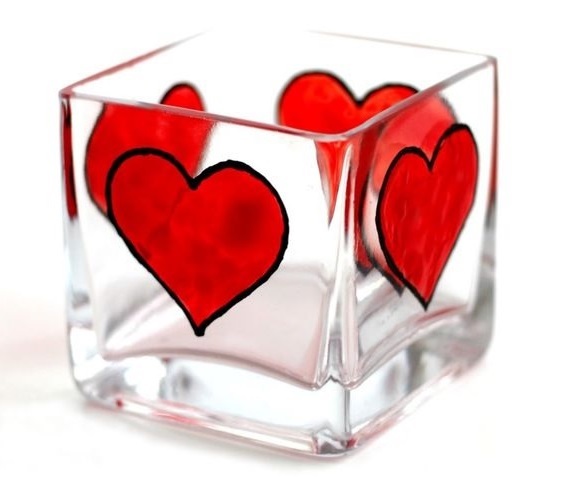 Valentine’s Day or St. Valentine’s Day is considered the day that love is expressed through greetings and gifts. The name goes back to at least one occasion of a Christian martyr named Valentine. According to history, Valentine while in jail, signed a letter “from your Valentine” to the jailer’s daughter whom he had befriended. 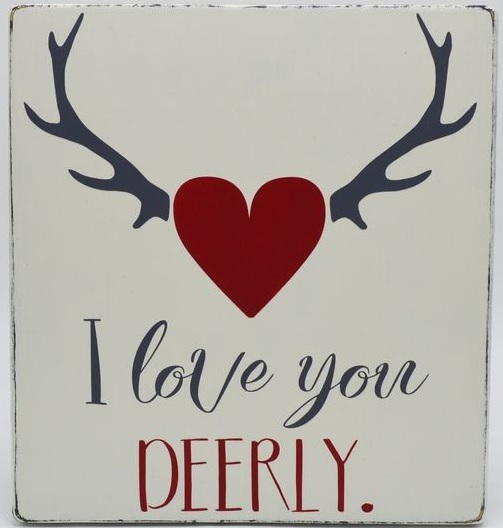 Valentines did not start appearing as formal messages until the 1500s and by the late 1700s they started becoming commercially available. Valentines commonly depict Cupid, the Roman god of love, along with hearts and flowers as the theme. More common today you will find that Cupid has taken a back seat to hearts, flowers and candy. Even though this has become a big “Hallmark Holiday” for buying a card, I would advise that this day is not one you should forget. Taken from my past experience, there are many days that go by that a spouse or loved one has not received recognition from you, so don’t let this day go by without some form of recognition or gesture of love. How you want to show that recognition is up to you, your finances and creativity. 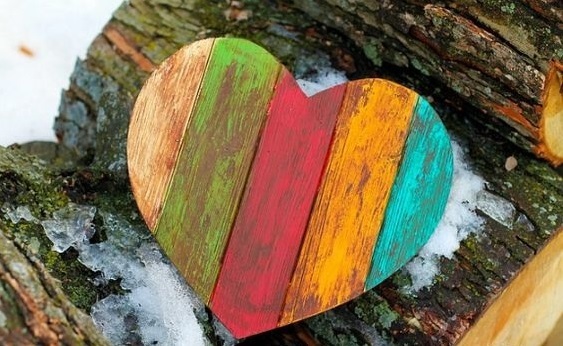 I suggest that this is the perfect time to show someone the feelings that you have, by not what you buy, but the time you put into making something for them. This can be done by making your own valentine card, baking something they like or just be creative. You do not want the significant other to think that you take their companionship for granted. The best gift is of your time and thoughts. Think about what the “other” person would like and spend your time making it happen. Or this may be a good time to express your feelings and desires for another, that doesn’t yet realize those feelings. This is a good occasion to hand out a Valentine for that purpose! Let the heart express itself. This can be done with a card, flowers, something baked, going out on a date, a romantic dinner, the list goes on. Just make it tasteful and from the heart. Britannica, The Editors of Encyclopaedia. “Valentine’s Day.” Encyclopædia Britannica, Encyclopædia Britannica, Inc., 5 Sept. 2018, www.britannica.com/topic/Valentines-Day.